Sat Jan 29th – Z-Town! 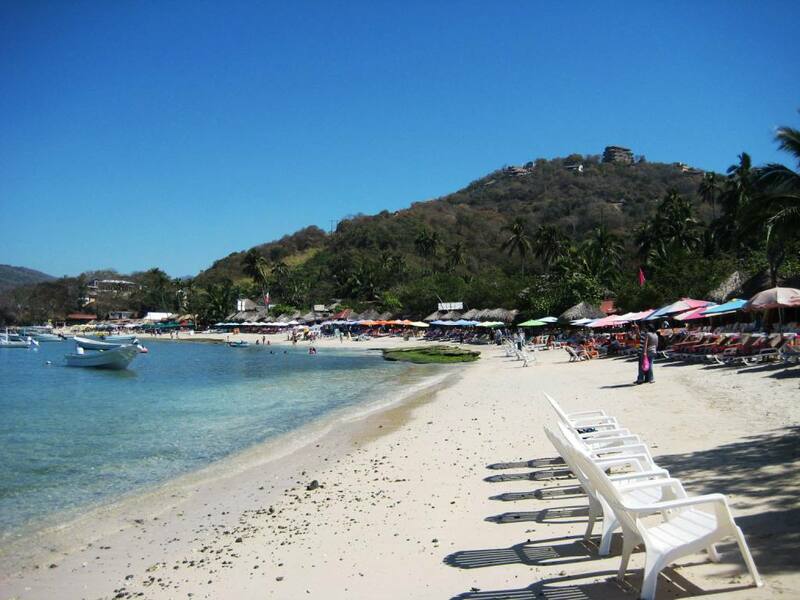 Zihuatanejo, or more practically known to the Gringo community as Z-Town, has been on my mind for years. It started with cruisers and friends who had been there and recounted the quaintness and beauty of this fishing village, and it became the object of my cruising obsession (one of them, anyway). Now we’re here. It is truly beautiful, but as in all much-dreamed-of projections, it is not what I expected. Not better, not worse, just different. I know I’ll enjoy this town nonetheless. 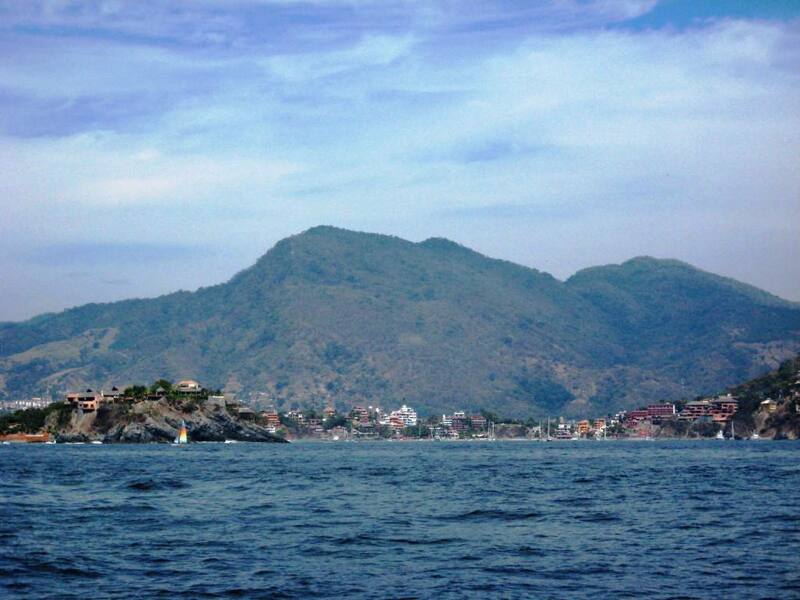 We have made it a point to arrive here in time for the Zihuatanejo Sailfest, a yearly event that lasts 5 days , geared towards raising funds for local schools and less fortunate children. There are regattas, competitions of various nature, concerts, raffles, auctions, you name it. It’s nice to see so many people coming together for such a worthy cause. 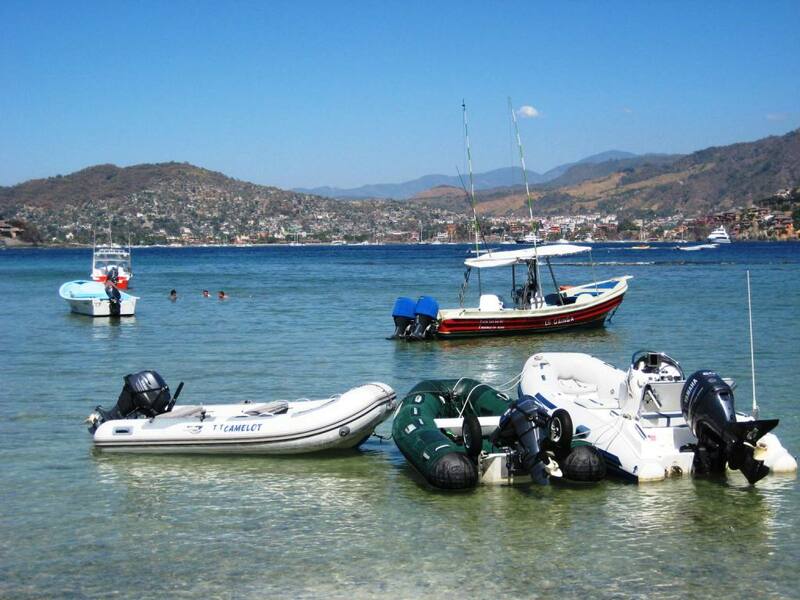 The Bay of Zihuatanejo is plenty big to accommodate all the boats participating; we chose to be anchored a little further away from the town and are totally happy with our spot. When the whim takes us, it’s only a short dinghy ride to town. It’s Sunday 30th. 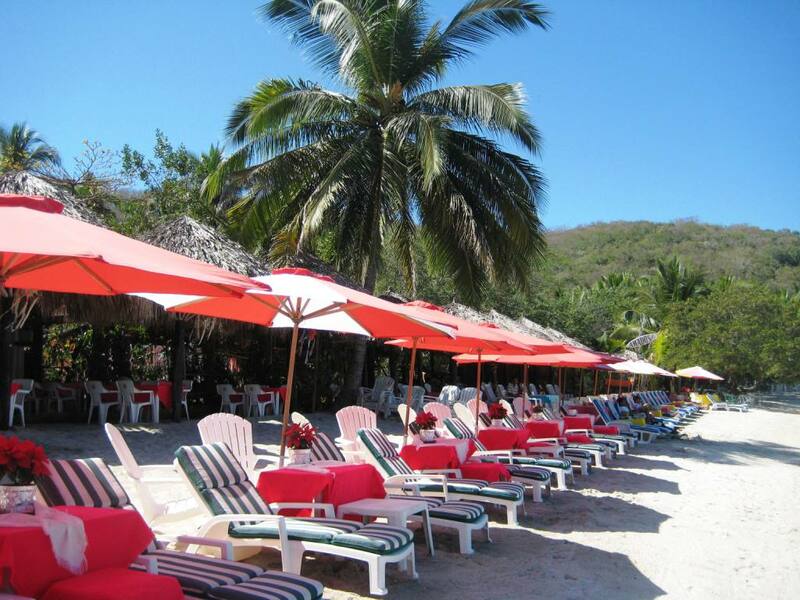 So far –we have been here only two days-, we devoted more time to the beaches surrounding us. 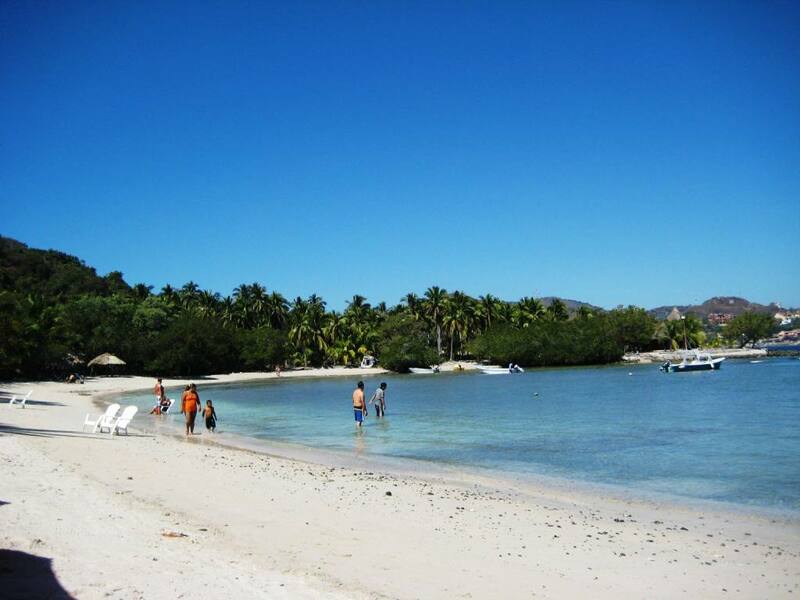 There are four beaches: Playa Principal and Playa La Madera right in front of town, Playa La Ropa and Playa Las Gatas on the other, more secluded side of the Bay. 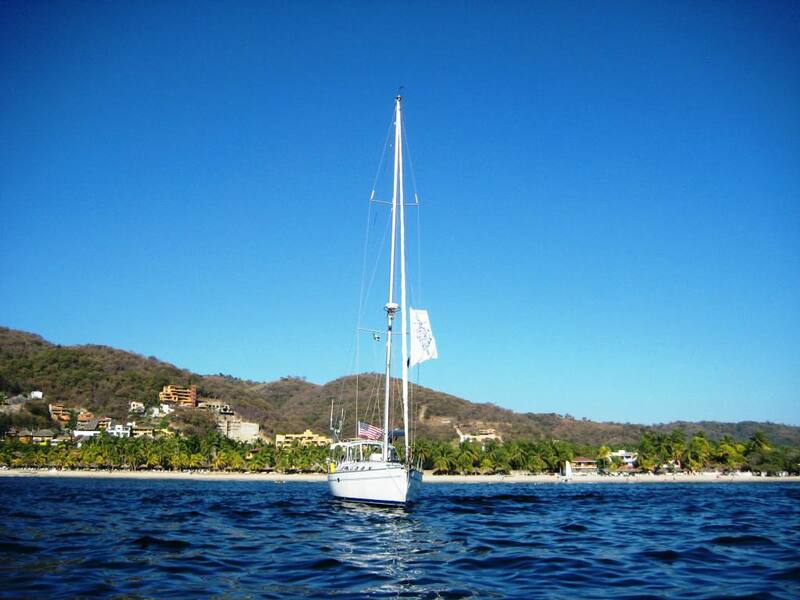 Camelot is safely anchored in front of Playa La Ropa and it’s only a 3 minute dinghy ride to Playa Las Gatas. Las Gatas can only be reached by water and it’s supposed to be an excellent spot for snorkeling, so we decide to make it our destination for the day. Great choice! The water is clear and very calm, the beach is postcard perfect. But… it’s so shallow that it takes all of Tom’s concentration and ability to maneuver the dinghy safely to shore. Thankfully, some of our cruising buddies are already strategically positioned, Margaritas in hand, to assist us with the landing. Thank you, guys! It is so beautiful here it almost feels like an out-of-body experience! Don't even THINK of commenting on this one! Some swimming, some snorkeling, lots of reading, the days ends quickly. In fact, we decide we need to return here, many more times! This is, in my humble opinion, the best of the four beaches. We spent the day here, pampered and spoiled.